Natural Wool Felt has a soft flexible feel making it very suitable for strumming and giving it a warmer tone. Felt Tones Heart are designed to have a large holding area, often required for the aggressive strumming associated with Ukulele. 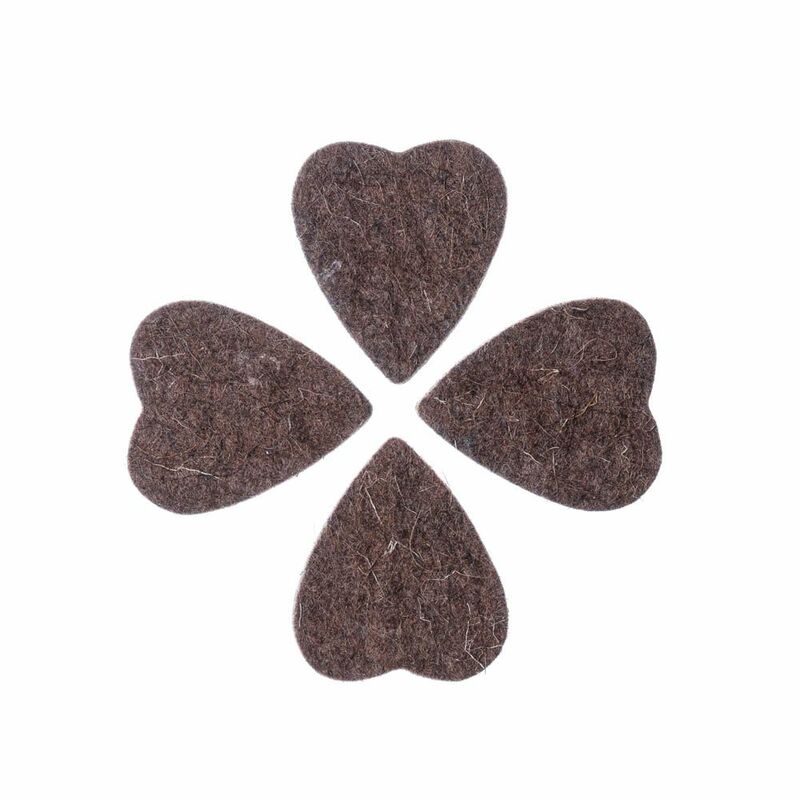 This pack contains 4 Brown Wool Felt - Felt Tones Heart Guitar Picks.